Whether you're looking to get started, maintain, or grow your garden, here are 50 handy tips and tricks to help. 1. Decide the kind of home gardening you wish to venture into: herbs; vegetables, indoor plants, or even succulents. 2. If you feel intimidated, start with micro-greens―they can be grown and harvested in about two weeks. 3. 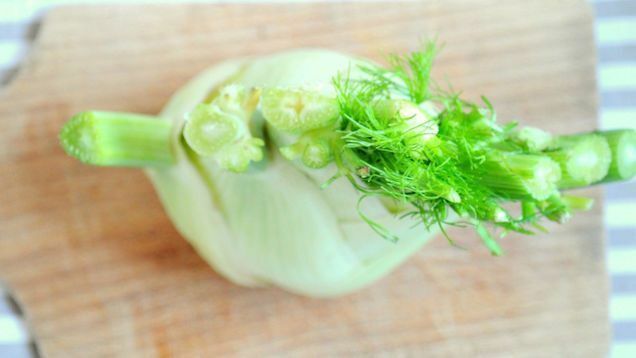 Kitchen scraps can also be unexpected starting points: bok choi, leeks, onions, potatoes, even pineapples! 4. These vegetables only require water―no excuses not to start right now! 5. Don't limit your choices―even grapes can be grown in our tropical weather. 6. Check if your seeds are still good for planting by placing three to four seeds on a wet paper towel, kept in a warm spot in your house. 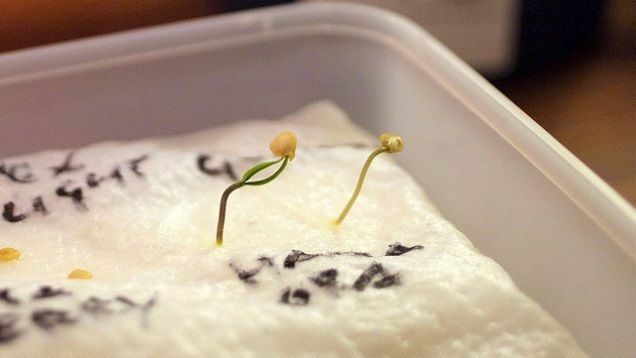 If no sprouts appear within a couple of days, it may be time to look into getting new seeds. 7. 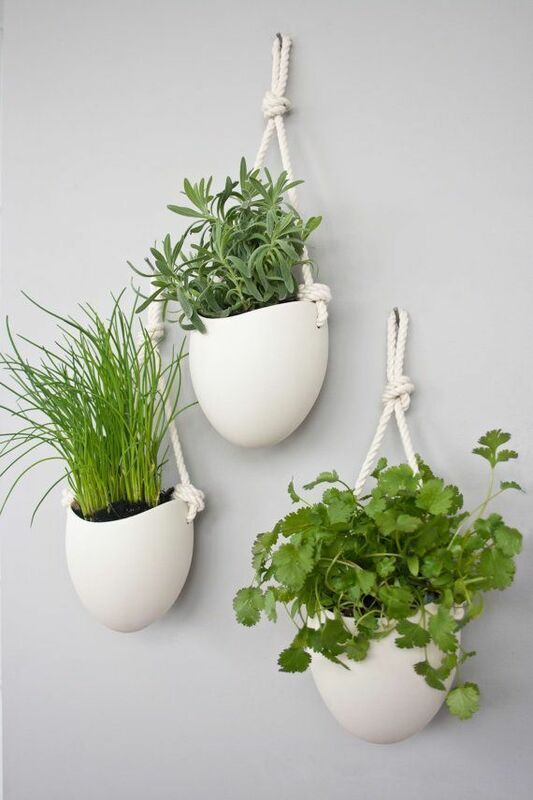 Use egg shells as starter pots―halve them and poke a hole at the bottom before filling it up with soil and seeds. Place the eggshells in a carton for stability. Once your seedlings appear, you can place them into soil; the eggshells will decompose into extra nourishment. 8. Citrus fruits work well, too. 9. 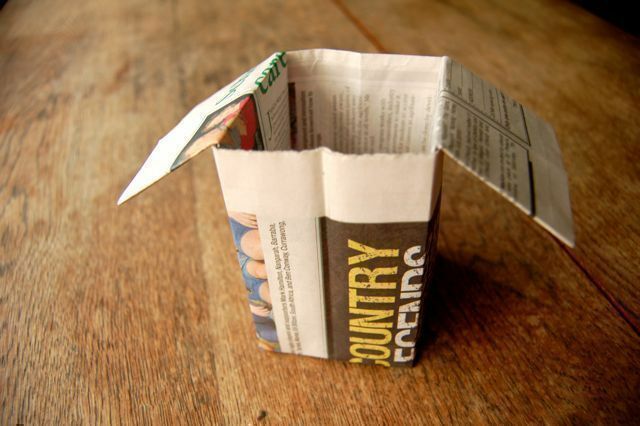 In case you have neither, newspaper can be folded origami-style for an bio-degradable alternative. When your plants are ready, you can move them into a more permanent home. 10. Commercial potting mix can be expensive. You can make your own―it also allows you to formulate and experiment with the nutrient content. 11. Remember to keep the potting mix; you can still reuse it. 12. Mix nutrient-rich coffee grounds to your potting soil or compost pile (perfect excuse to chat up your neighbourhood barista too). 13. Not sure what kind of containers you should get? Here are 50 ideas. 14. You can also check out these shops for some plant pot purchasing. 15. If you have fallen in love with a particular pot that's too deep, place a layer of pinecones or wine corks to add some height without unnecessary weight. 16. You can also hide a sponge below; it will collect excess water for the plant to continue drinking from lest you forget to water it. 17. 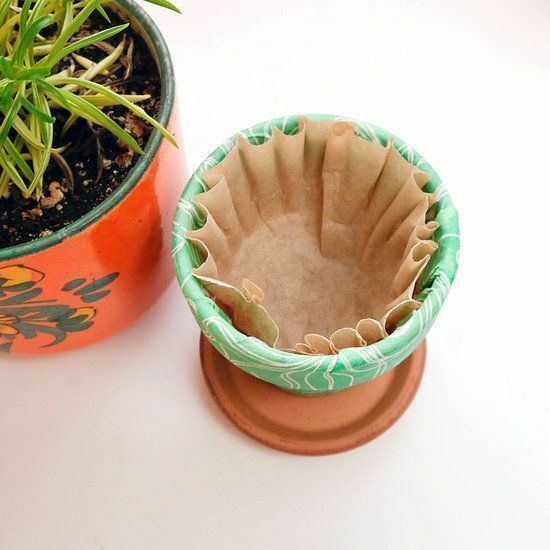 If your pot tends to leak too much soil, line the bottom with a coffee filter. 18. 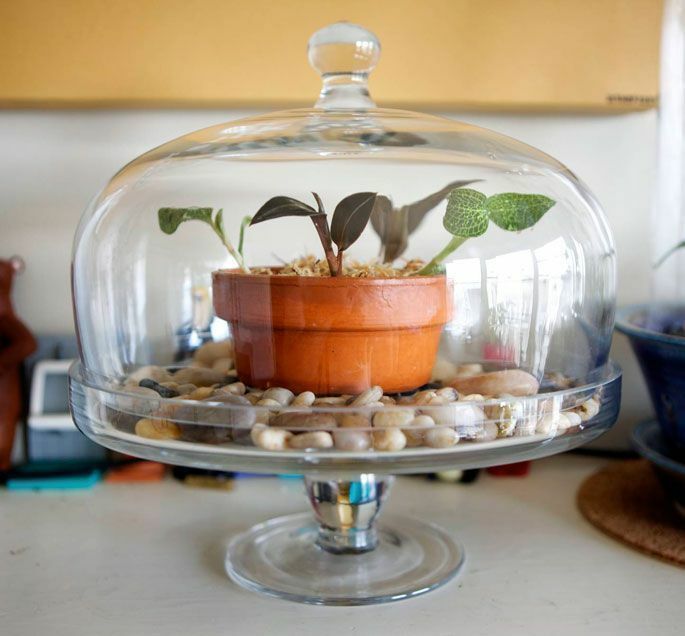 You can put your glass cake dome to good use for your indoor terrariums. Covering your small potted plants helps speed their growth, too. 19. 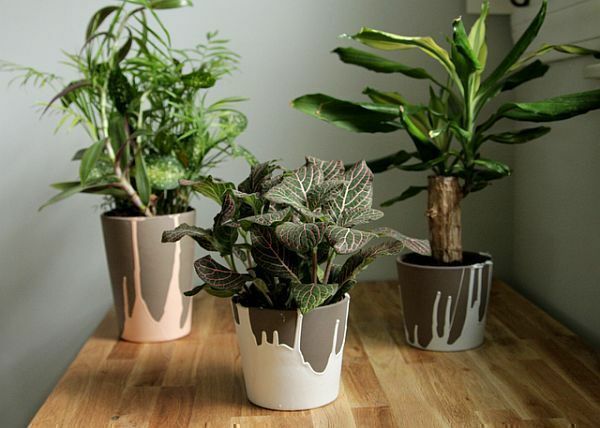 Add a splash of colour to your plant pots (you could even go Pollock-style). 20. Don’t throw the egg carton away―it makes for a great accompaniment to egg-shelled succulents. 21. Want something fancier? 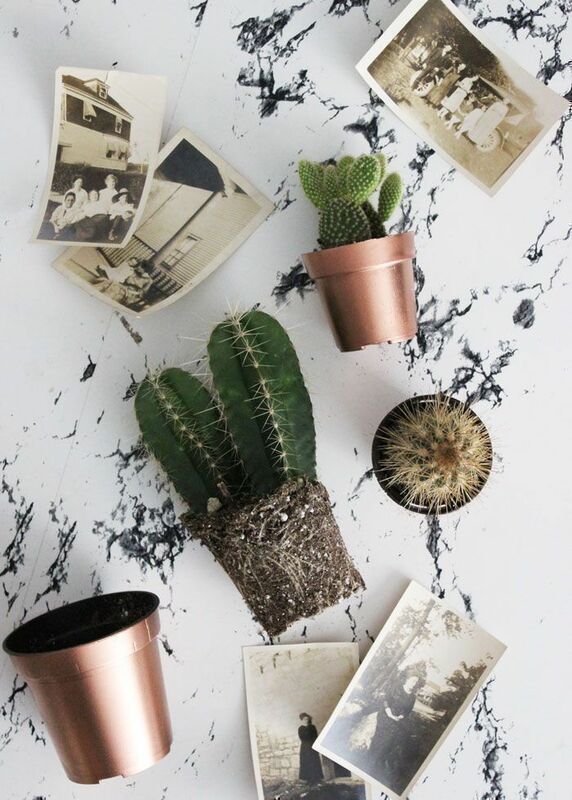 Try mini copper planters. 22. You could also simply paint them to look like copper. 23. 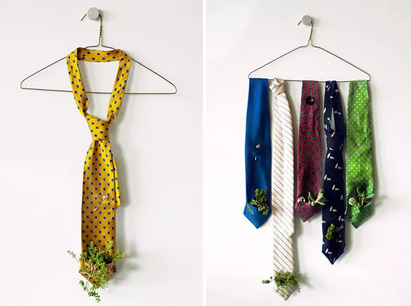 Have ties you were planning to throw? Don't. 24. 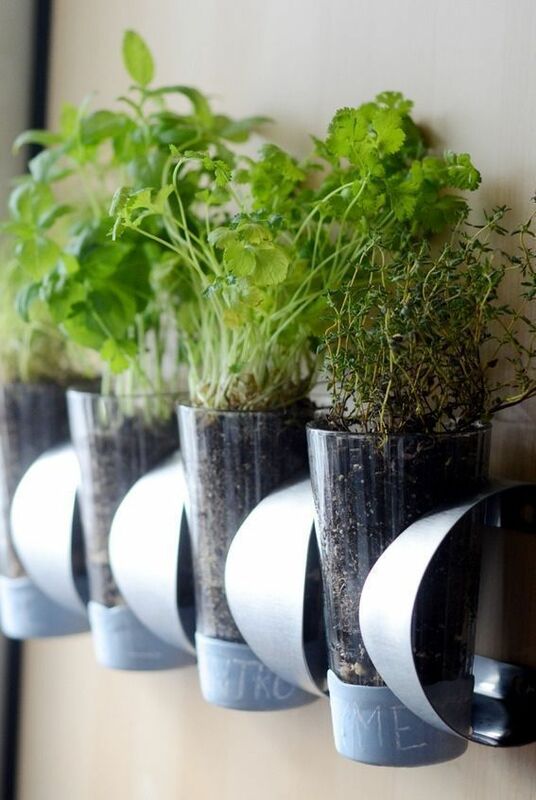 Repurpose a wine holder as a handy (and pretty sleek) indoor herb garden. 25. 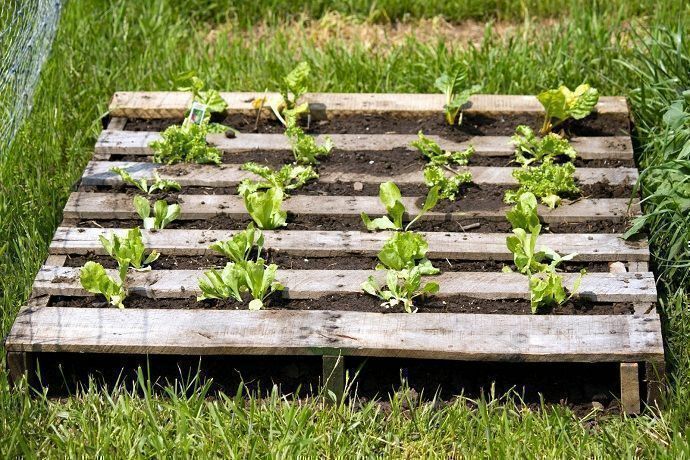 Pallets make for quite the perfect garden. Find a good size and it's ready for immediate use. 26. Vertical gardens are a great solution for space―and you might already have the materials needed. Possibilities include shoe organisers and gutter pipes. 27. Not enough ideas? Find more vertical gardens you can have. 28. 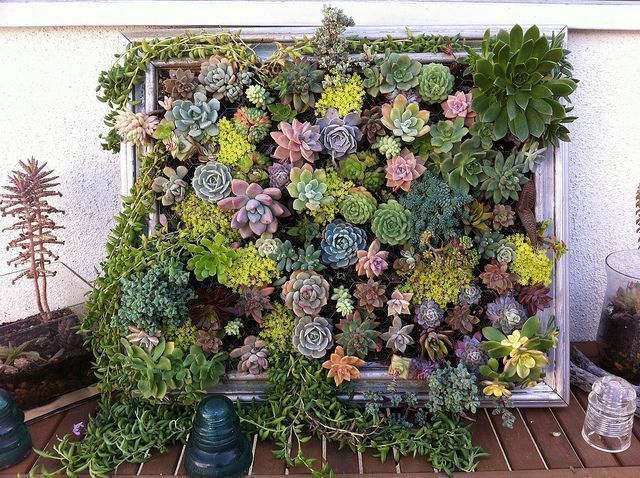 Vertical gardens are not limited to plants and herbs―with succulents, they also function as wall landscaping at home. 29. 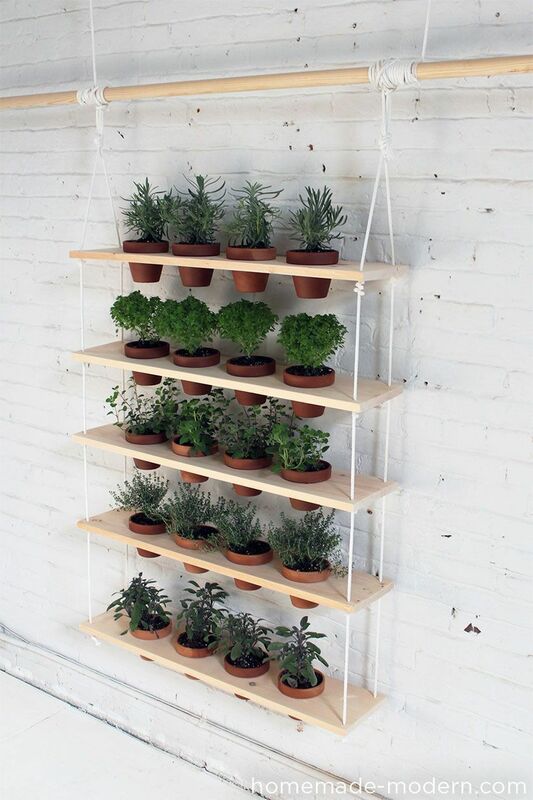 If you’re feeling crafty, you can make this beautiful hanging garden, suitable for the indoors. 30. Reuse gallon jars for water cans that don’t leak. 31. 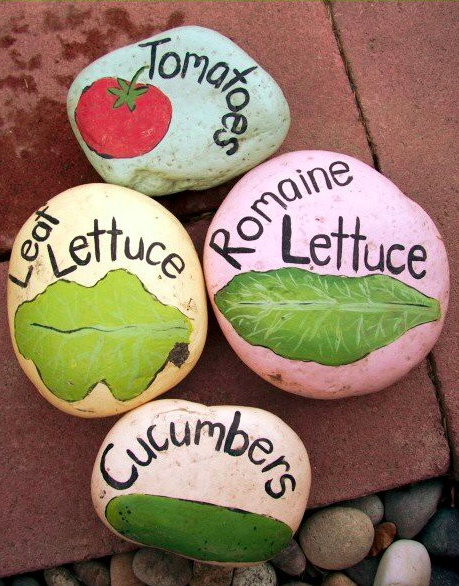 Keep your garden organised by marking your different plants on garden stones. 32. 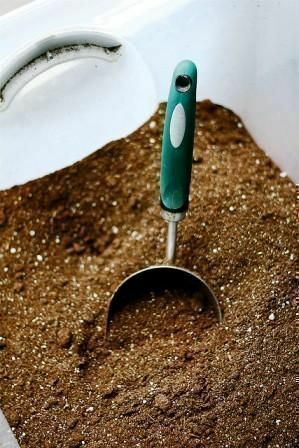 Store your gardening tools in a mixture of oil and sand (1:10 ratio). This helps to keep the metal conditioned and safe from rust. Martha Stewart said so. 33. 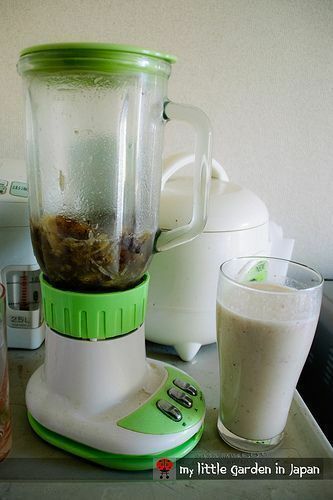 Share your love for smoothies by making your plants a banana peel shake. They’ll love the phosphorus and potassium. 34. If the idea grosses you out, you can simply bury your banana peels under one inch of soil at the base of your plants. 35. Don’t pour the water away after boiling or steaming vegetables—use it to water your vegetable plants. Yes, the circle of life. 36. Rice water is apparently another great fertiliser! 37. 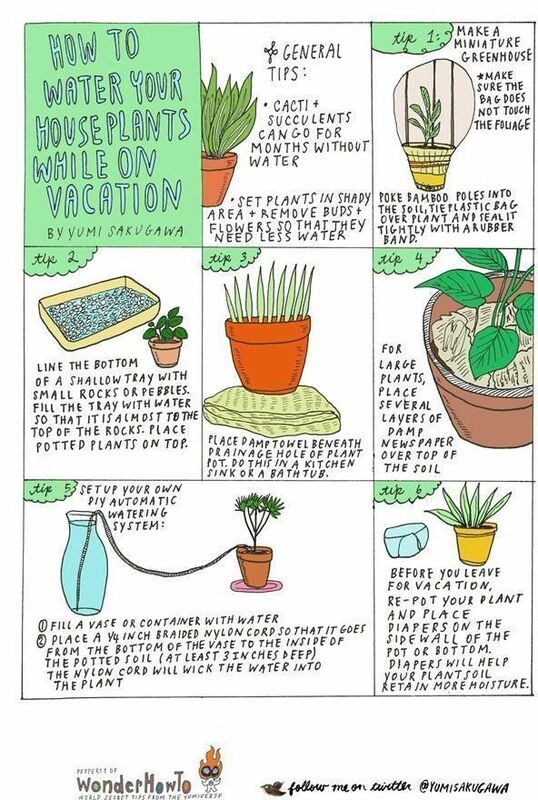 If you’re going to be away from your plants for more than a week, use these tips to keep them watered. 38. If you’re brave (or desperate) enough, diapers apparently work. 39. Keep garden pests at bay with beer poured into empty bottles buried in soil, with the rims at ground level. Slugs love them and will certainly drop in for a drink―but not back out. 40. Beer also does a dual job of promoting green growth, particularly for those brown spots on lawns. 41. 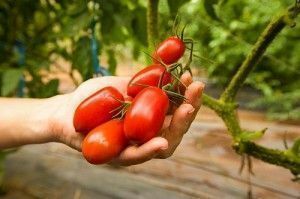 If you’re growing tomatoes, water them with a mixture of Epson salt and water (2 tablespoons to a gallon). This helps feed them extra magnesium and calcium, minerals the plants are more prone to deficiency in. 42. If the roots are growing out of the pot, it’s time to repot your plants. Find out how in this step-by-step guide. 43. If your herbs are starting to look poorly, check out this herb guide if you have all the requirements ticked. 44. Time to harvest your herbs? Learn about the “One Third Rule” and the corresponding harvesting time periods for different herbs here. 45. 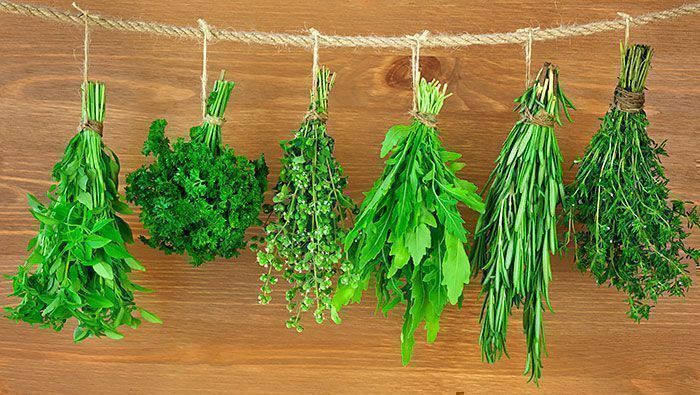 It’s also time to find out how you can use your fresh herbs for cooking. Herbs can also be used in teas. 46. Preserve extra herbs by freezing them with olive oil in ice trays, or use them as an excuse to make your homemade pesto and vinaigrettes. 47. 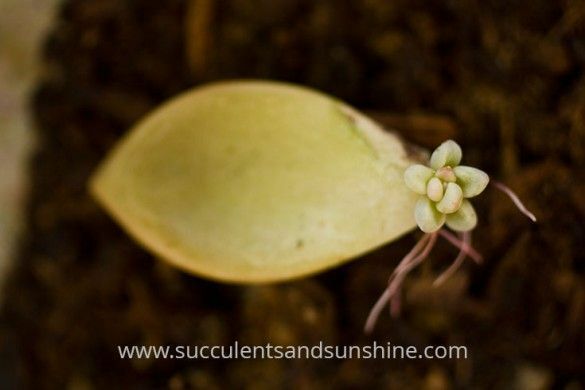 Propagate your own succulents―they make for great gifts. 48. Document or share your gardening journey, or follow these local gardening blogs: The Curious Gardener, Dream and Grow It, and Nicky's Kitchen. 49. If you would like to keep more plants that your home can handle, there are vertical racks available for rental. 50. Bored of your current urban plants? 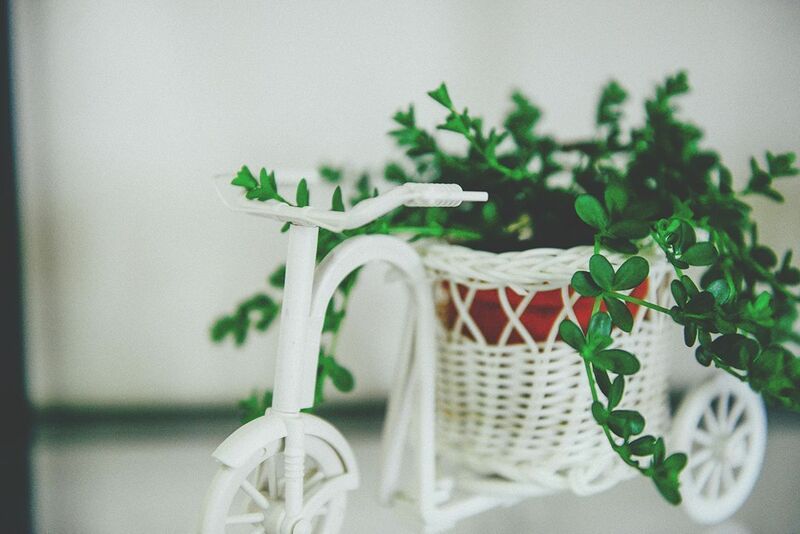 There are many other ways to incorporate greenery into your home. 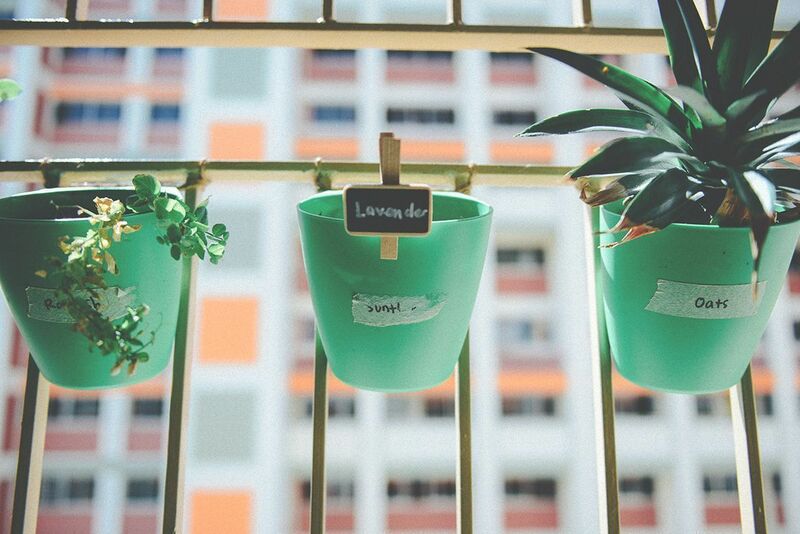 Just check out Urban farmer Cynthea's green oasis in Bishan! Got any garden tips or photos to share? Email us at hello@cromly.com.